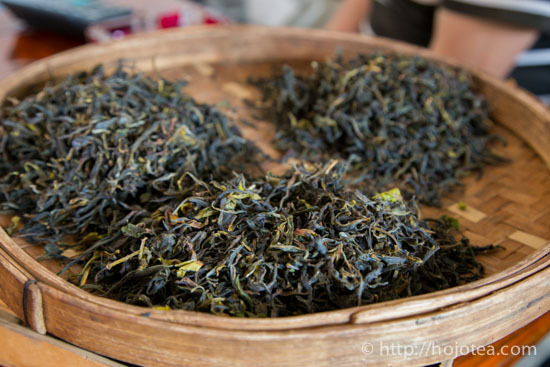 There are a number of wild tea trees naturally growing in Da Xue Shan. Da Xue Shan is one of the provincial Nature Reserve of Yunnan Province. These areas are managed by the Chinese authority and it is not easy for the outsiders and foreigners to access. 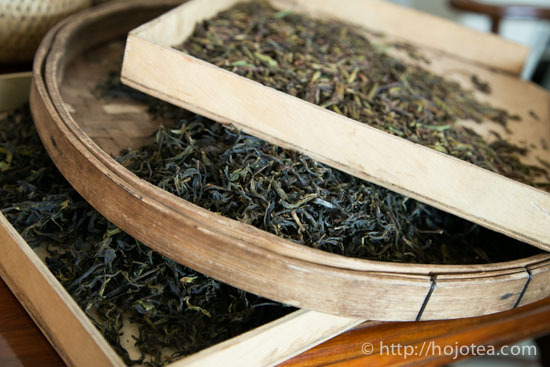 Moreover, from Lincang it takes at least two days to reach the Da Xue Shan tea growing area. 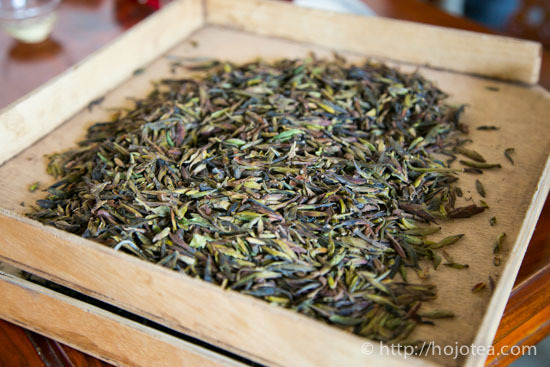 Many wild teas tend to be bitter, gives dry taste or smoky flavour. 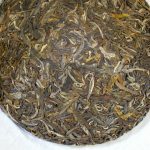 A few years ago, we introduced Ai Lao Shan wild pu-erh tea which has a bitter taste. 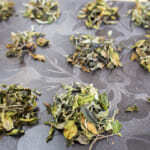 Since we learnt that some customers did not like bitter taste, we look for wild tea that gives no bitterness and no dryness. It only consists of single bud plucked in early March. 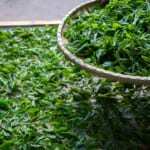 Since it is only bud, its body and aftertaste is slightly lighter compared to the same tea consists of one bud and two leaves. 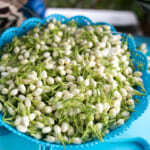 However, it gives very unique fruity flavour that reminds us of grapes or green apple. 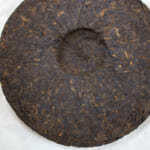 This is rare in wild pu-erh teas. This year I was so grateful that I could have this tea. Last year, I couldn’t purchase this tea since it was sold out very early. 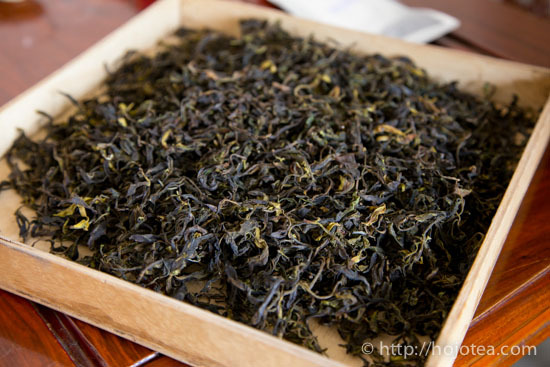 Another type of wild tea is made of one bud and two leaves. It gives thick body and strong aftertaste. 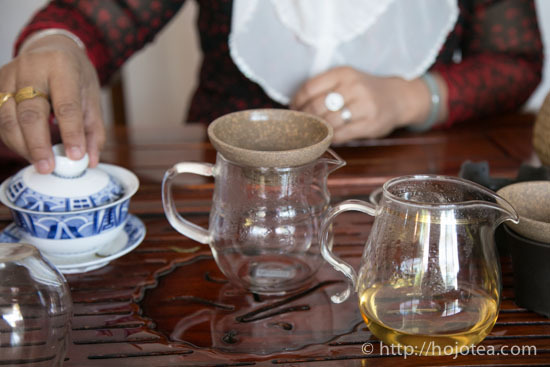 If you drink a few cups, you may feel very warm and perhaps you may experience the tea-drunk. 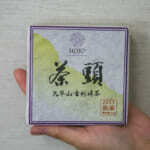 At this time, the two teas mentioned above were kept in mao cha form. 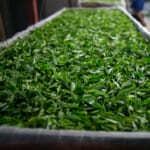 Mao cha means the loose leaves before the compression into tea cake or brick. 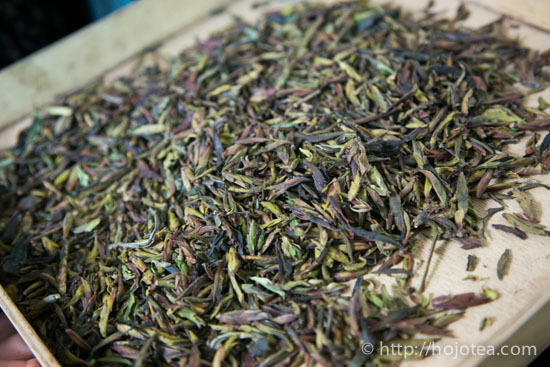 Once we compress it, the flavour will be more stable and it is suitable for storage and maturation. 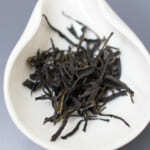 However, if you wish to enjoy the refreshing fruity flavour like green tea or oolong tea, mao cha is the best. Initially, I did not intend to introduce this tea in Mao-cha form. 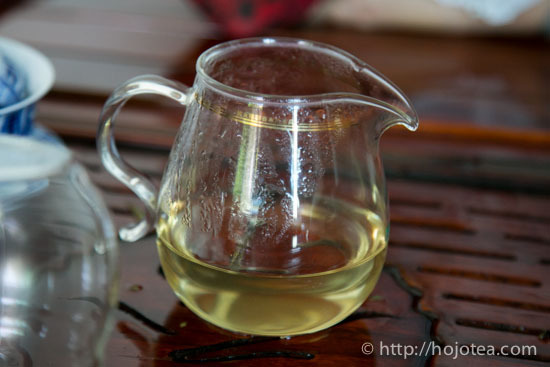 However, I receive many enquiries from customer asking me to sell mao cha. After think over I decided to sell mao cha for a limited time only. After 10 days, I need to compress mao cha into tea cake. 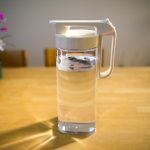 So I will only accept the pre-order of mao cha within a week until 27th of April. If anyone is interested, please send me an e-mail or visit our shop at Gardens mall to place an order.